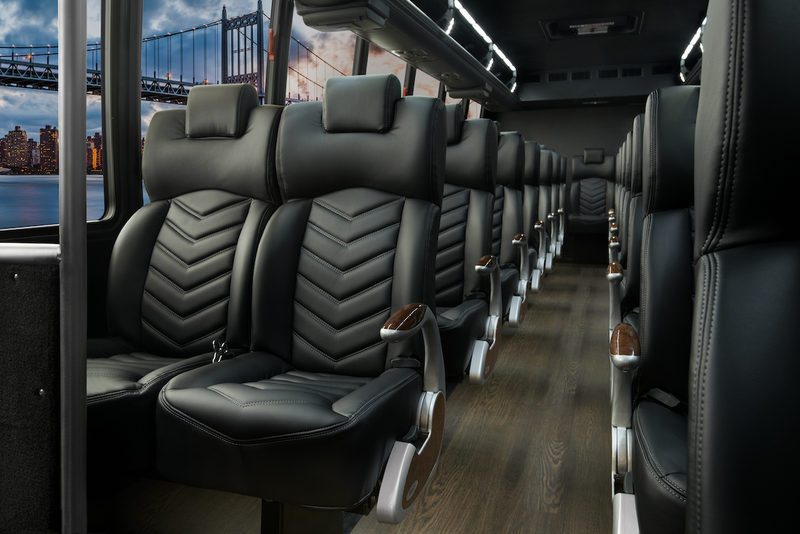 The Ford E-450 is the most spacious and comfortable of our fleet. It can accommodate 24-56 passengers. The reclining seats are upholstered with high-quality fabric and are comfortable. The classic media package includes AM/FM radio with CD player, a 17” monitor with VCR, and a great sound system. The air actuated passenger entry provides easy access for larger groups to get on and off. The best feature of the party bus is the separate luggage compartment that can hold up to 40 pieces of moderate size luggage.